I’ve been thinking a lot on how I think the tech future will be, with all our mobile devices and future computing devices. So I thought I should do a post with my thoughts and visions of the future. Samsung is making their own version of android by adding more and more specific Samsung features to their touchwiz. They also is testing the market with their own Tizen OS. Google doesn’t like that and working on saving android and minimize the fragmentation by releasing more and more android features and apps in the Google Play Store. It’s not Google Apple hates, it’s the copycat Samsung. Microsoft will disappear from the consumer market, and only exist on the corporate side of things, servers, office software and so on. And no one will miss them. I’m not sure that we all will go around wearing smart glasses, but I’m sure we will have some kind of wearable devices based on Apple’s Siri and Google’s Google Now (maybe even a collaboration between the two services). 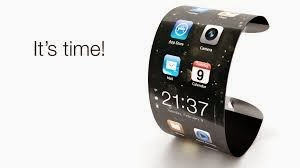 I’ve seen visions of a kind of watch (iWatch) from Apple that has a rounded curved display as big as the first iPhone display at 3.5-inch that goes around the wrist. It is fully possible, at least on a man’s wrist. I still believe that we will have quite large mobile devices, that can fit in our pockets, but maybe not with the phone feature anymore. I think we will make calls from a wearable device instead, and have a mobile device for computing. 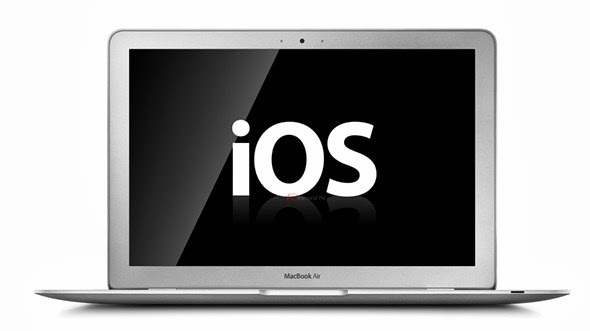 Apple is making OS X more as iOS for every new update, and I am sure that they will merge with each other. Maybe already with OS 11, and be called Apple OS. That will make way for new interesting possibilities and devices. Same with Google, they will make chrome into a full-blown OS that can be run on any computer or device. It will take more and more features from Android, and Android will be able to run chrome packaged apps and native apps. After that it’s just a matter of time before the two OS’es merge. 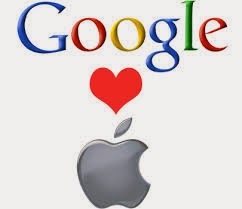 When both Google and Apple has one OS for all devices, then it’s time to see the new ARM based computers coming out, these devices will first of all replace the most mobile devices like the MacBook Air and Google Chromebook, but also most of the larger tablets, like the iPad. Smaller 7-inch tablets will still exist though, mainly as our mobile computing devices. When we come home after being mobile, we just dock our mobile phones, tablets or the new ARM based laptops to a monitor or even a HDTV, and then it will become our desktop computer too, using wireless keyboard and touchpad or mouse. Using the same apps and having the same user experience everywhere we are. Then we will always feel like “home”. This is some of the visions I have of a more mobile future. I have a lot more that I will write about in future posts.